Roycelynn Mentor-Marcel, PhD, MPH, is a Senior Merit Review Officer in Science at the Patient-Centered Outcomes Research Institute (PCORI). She is responsible for organizing and managing the merit review of research applications submitted in response to PCORI Funding Announcements. 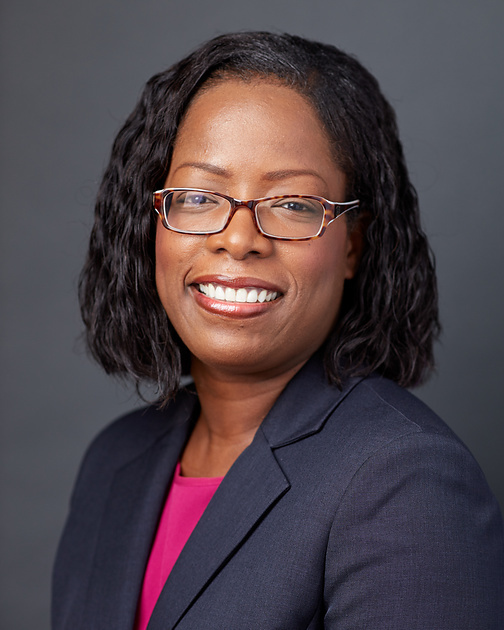 Before joining PCORI, Mentor-Marcel was a life scientist at Leidos, where she led efforts to support federal agencies in conducting programmatic review meetings and supported pre-proposal and vision-setting meetings. She was also responsible for reviewing and evaluating annual progress reports and participated in writing program announcements and executive summaries. Additionally, she has led efforts to update evidence-based clinical guidelines for a federal agency. Prior, she received formal training in cancer prevention at the National Institutes of Health, National Cancer Institute as part of the Cancer Prevention and Control Fellowship Program. She has published scientific papers and presented her research on prostate and colorectal cancer at various scientific meetings. Mentor-Marcel received a BS in biology from Oakwood University, a MPH from the Johns Hopkins Bloomberg School of Public Health, and a PhD in pharmacology (with an emphasis on toxicology) from the University of Alabama at Birmingham.